Number 92A Renville Village is a two bedroom semidetached, private residence built on the grounds of the five star Galway Bay Golf Resort in Renville, Oranmore. The nearby Renville Park and playground is an excellent amenity for all family members, and Renville Sailing Club is a thriving sports venue for sailing enthusiasts. Oranmore village offers a host of amenities — schools, shops, restaurants, and many leisure activities. The living accommodation extends to c870sq ft and comprises entrance hall, living room with solid fuel stove, kitchenette, guest wc, and two double bedrooms, both of which are en suite. The property presents in excellent condition throughout. This would make an ideal starter home or investment property. Price guide: €170,000. BER : E2. Number 77 Hazelwood is a superbly presented, four bedroom semidetached home, situated in the popular Hazelwood estate in Loughrea. The property extends to 1,162sq ft and presents in showhouse condition. Internally some modifications were made to the house by the current owner, dramatically transforming the ground floor living and kitchen area into an open plan arrangement with high quality PVC bi-folding doors to the rear garden. As a result the ground floor is flooded with light from the garden and there is ease of movement from the living areas to the outdoor space. Off the kitchen there is a utility and guest wc. On the first floor there are four bedrooms, three of which are double in size, and two with fitted wardrobes. The master bedroom is en suite. Price guide: €230,000. BER: C2. Open viewing 11.30am to 12.30pm Saturday October 14. Number 14 Garrai Sheain, Roscam, a three bedroomed, end-of-terrace house, represents an excellent starter home. It is part of a small residential development in Roscam, east of Galway city and is situated in a quiet cul-de-sac. It presents in showhouse condition offering bright and deceptively spacious living accommodation comprising entrance hall, living room with gas fire, kitchen and dining room, utility, guest wc, three double bedrooms, of which the master is en suite, and main bathroom. The location is excellent, offering easy accessibility to Galway city centre, Parkmore Industrial Estate, Galway Clinic, and the nearby M6 and M18 motorways. There is an excellent bus service to the city and Oranmore train station is also close by. Price guide: €250,000. BER: C3. 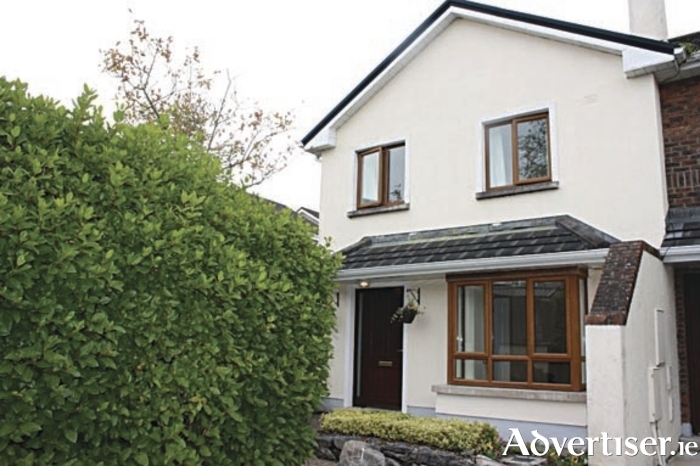 No 61 Boireann Bheag is a three bedroom end-of-terrace family home, built in 2005 and presented in turnkey condition. The property extends to almost 1,000sq ft and is beautifully finished internally with streamlined high gloss kitchen units complete with electric cooker and hob, housed fridge freezer, and free standing washing machine, dryer, and dishwasher. The well-proportioned living room features a gas fire inset and beautiful white marble fire surround. Double doors lead from the living room to a secure, private rear garden. Thanks to its excellent aspect this home is particularly bright inside. There is off street parking in the front driveway with additional parking directly opposite. This family home is located close to a creche and an excellent bus stop, and is approximately a 10 minute commute to Galway city centre. Price guide: €270,000. BER: C2. Open viewing 10am to 11am Saturday October 14. Number 5 Oranclose presents like no other three bedroom semi-detached house, it is quite the exception. An extension to the rear spanning the full width of the house almost doubles the ground floor footprint, creating a wonderfully bright and modern open plan kitchen and family room. Presented in showhouse condition, it features a log burning fireplace with white marble fire surround in the original sitting room, which overlooks a landscaped green area. A thoughtfully planned utility, off which there is a guest wc, is now discreetly located where the original kitchen had been. Beyond the extension there is a secure, low maintenance garden, with border shrubs, ideal as an outdoor play area for children. Price guide: €310,000. BER: C2.